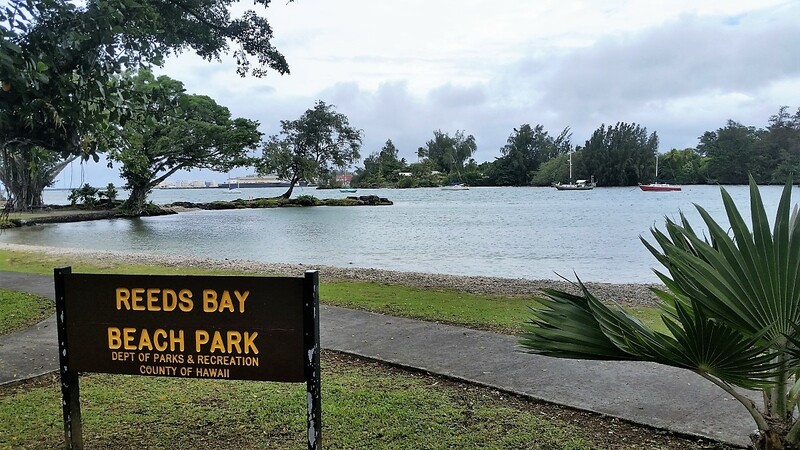 Several attractive Hilo beach parks are located along an idyllic little beach street close to downtown Hilo. 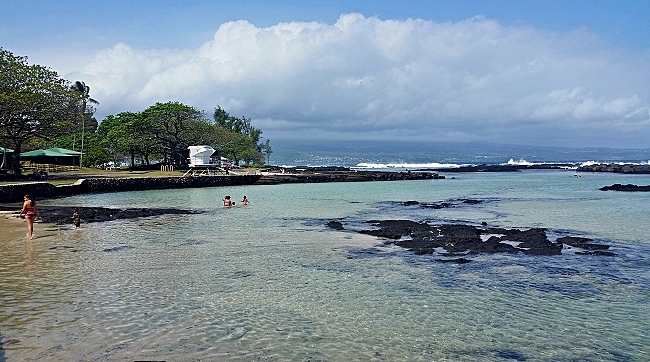 These Hilo beaches aren’t the long stretches of soft sand that can be found on other parts of the island. But tide pools and coves that are protected by breakwater barriers offer decent swimming, with grassy lawns, picnic pavilions and expansive ocean views. Sometimes when conditions are just right, there can be decent surfing along this stretch of ocean too. 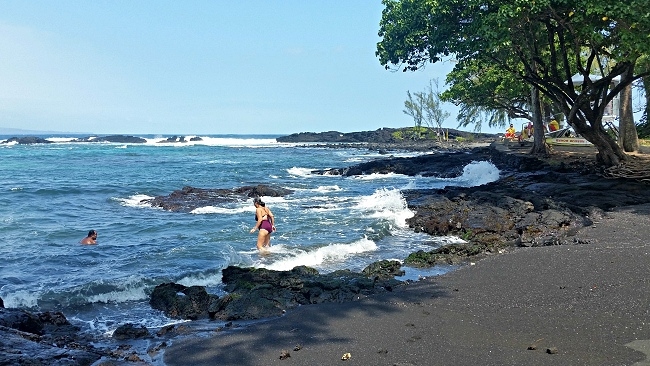 On a sunny day in Hilo, we like to head to one of the eight beach parks that run along Kalanianaole Avenue. Beginning at Reeds Bay Beach Park near the intersection of Highways 11 and 19, the beaches extend south for a distance of a little less than four miles. Driving south from Reeds Bay on Kalanianaole, the other parks are Keaukaha, Onekahakaha, Kealoha, Carlsmith, Wai’olena, Leleiwi/Waiuli and Richardson Beach Park. There are also several additional public shoreline access points along the drive between Onekahakaha and Richardson. 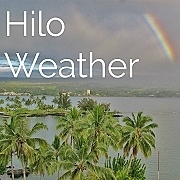 Our favorite Hilo beach park is Onekahakaha, located 1.8 miles (2.9 km) south of the intersection of highways 11 and 19 in Hilo. Onekahakaha Beach Park is a scenic park with a large, sandy bottomed tide pool that is protected by a breakwater wall from the open ocean. The calm cove is a great spot for families with small children. In addition to great views and nice swimming, there are picnic pavilions, restrooms and lifeguards. Several smaller tide pools outside the sea wall offer opportunities for snorkeling, but stay aware of tides and currents. Currents behind the breakwater can be strong and potentially dangerous during high surf. We also like Richardson Beach Park, located 1.7 miles (2.7 km) past Onekahakaha Beach Park and just before the end of Kalanianaole Street. There are lifeguards on duty at Richardson, but swimmers should be extremely cautious here, especially during high surf. Currents can be very strong. Ahalanui Beach Park and Kapoho Bay were consumed by lava in July, 2018 from the Kilauea Volcano eruption. The following information predates this incident. About 24 miles (38 km) south of Hilo, Ahalanui Beach Park is a really cool park with a pool that is heated by the volcano. On the coast east of Pahoa, the large pool at Ahalanui Beach Park is fed by the ocean and warmed by a volcanically heated spring. Ahalanui is a large park with lots of room to play, a great spot to bring the family. Click on the link above for more information, images and directions. 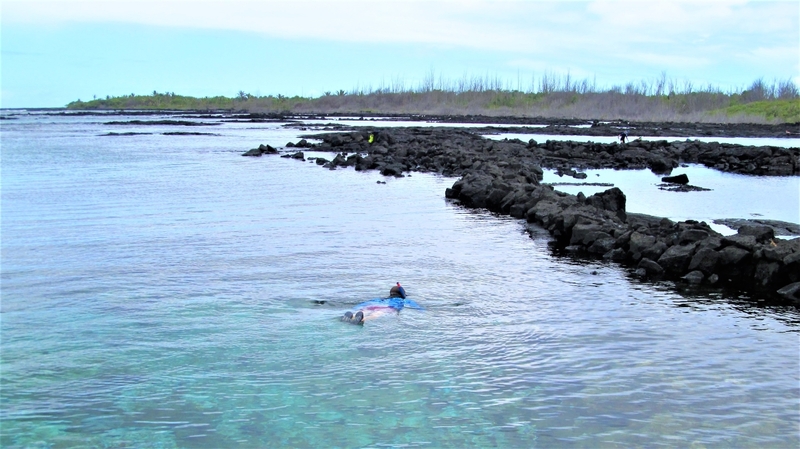 Kapoho Tide Pools offer perhaps the best snorkeling opportunity on the east side of the Big Island. Located just a couple miles north of Ahalanui Beach Park, the interlinked tide pools at Kapoho are also known as Wai'ōpae Tidepools Marine Life Conservation District. Pahoehoe lava covers the bottom of the pools near the shore, but an increasing display of diverse coral growth can be found as you swim away from shore. An offshore ridge similar to a barrier reef protects the tidepools. Twice each day as the tide comes in, the pools are flushed out with fresh ocean water. To reach Kapoho Tide Pools from Ahalanui Beach Park, follow Highway 137 north 1.6 miles (2.6 km) and turn right on Kapoho Kai street. It's easy to miss the turn, so be on the lookout for the street sign. There is no public parking at the pools. Limited parking is available along the street at the entrance to the subdivision, near the end of Kapoho Kai street. You will then need to walk about 1/4 mile to the shore along Waiopae Road. There are no lifeguards and no public facilities. As a safety precaution, persons with open cuts or sores should not enter the water here.